The region enjoys the benefits of a unique nature, a temperate continental climate with short pleasant summers, long autumns, serene and romantic, mild snowy winters. Piatra Neamt is one of the most beautiful towns from Moldavia, placed on the terraces from the left of the Bistrita, at the confluence of two rivers: Cuejdi and Bistrita, at 345 m altitude, surrounded by the wooden peaks of the knolls called Cozla, Pietricica and Carloman, at the crossing of touristic roads. 1Leisure time - for those who are looking for a holiday destination or to spend some quality time, Piatra Neamt has many and various offers. Piatra Neamt is one of the most beautiful towns in Moldavia, placed on the terraces from the left of the Bistrita River, at the confluence of two rivers: Cuejdi and Bistrita, at 345 m altitudine, surrounded by the wodden peaks of the knolls called Cozla, Pietricica, Cernegura and Carloman. The region enjoys the benefits of a unique nature, a temperate continental climate with short pleasant summers, long, serene and romantic autumns, mild snowy winters. The leisure park ”Peste Vale”, ten minutes away from Central Plaza, is open round the clock. 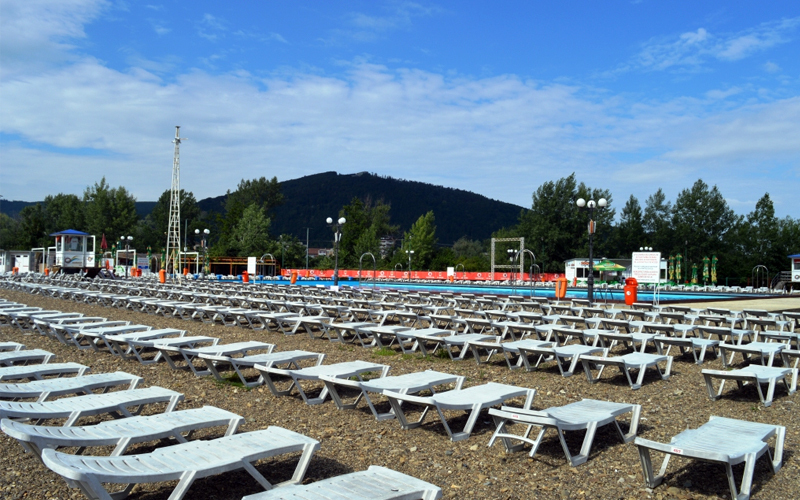 For the summer time, the resort has two swimming pools, a football filed, a basketball court, a tennis court, roller skating and skateboarding track, quad bike (ATV) riding and bike riding, playgrounds for children. In winter, there is a skating rink of 650 sq. 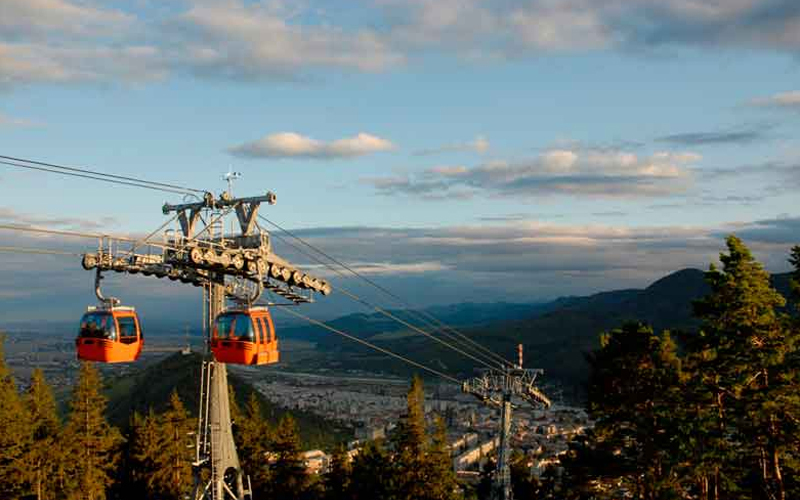 m.
The Gondola offers an enchanting view of the entire town and represents the most modern and fastest mean of transport in order o reach the Cozla Mountain and the skiing track. 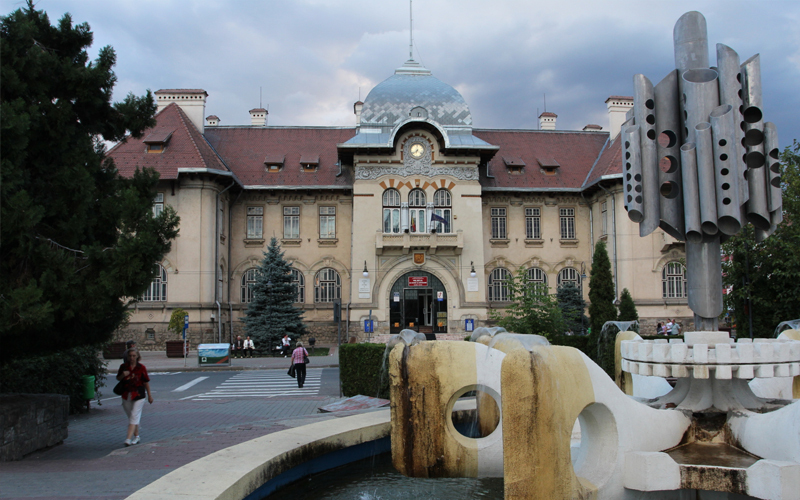 It leaves from the Piatra Neamt Neamt railway station, five minutes walking from the hotel. 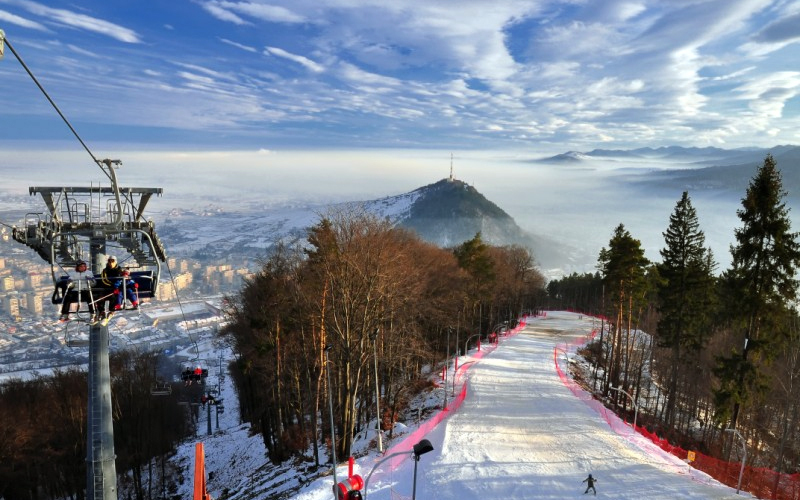 The skiing track lies on a length of approximately 1 km on Cozla Mountain and it`s equipped with floodlight system. There are also a tubing track and chair lift. 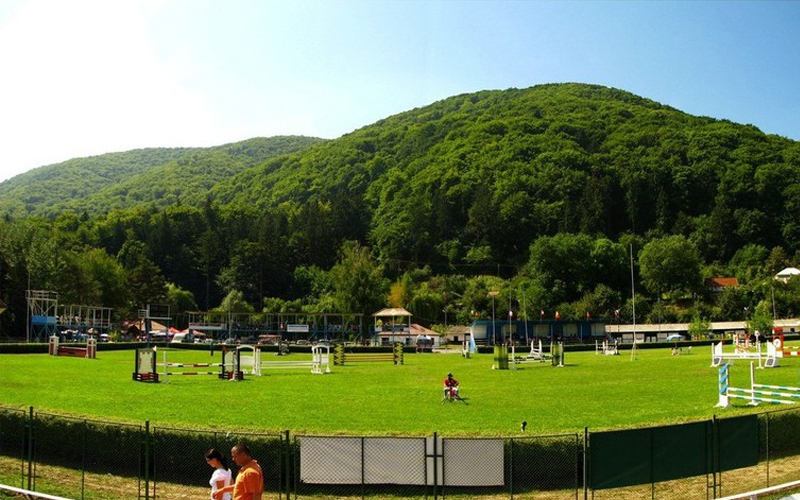 The Equestrian Stadium Virgil Barbuceanu is famous for the national competitions organized here, but also for some valuable equine exemplars. The tourists are offered riding lessons or coach rides. The Cozla Park calls the tourists attention by the diversity of colors that change along the seasons and offers a special view of the town. Still here, downhill there is a small but interesting Zoo, that includes species from the local fauna or worldwide. For the tourists interested in the cultural life of Piatra Neamt, we suggest to go to the The Youth Theatre, visit The Cucuteni Eneolitic Art Museum, The Ethnography Museum or The History and Archeology Museum, the most appropriate places to encounter the local history. Note The Princely Court, an architectural complex made up by The Saint John Baptiste Church, the Belfry Tower, all of them foundations of Stephen the Great. 2Culture - for a quality time spent in Piatra Neamt, we recommend you the Youth Teater, art galleries, museums and historic monuments. Teatrul Tineretului, (The Youth Theater) one of the most dinamic and modern theatres in Romania is famous also for creating great artists : Horaţiu Mălaiele, Maia Morgenstern, Virgil Ogăşanu, Ileana Stana Ionescu, Mitică Popescu, Valentin Uritescu, Oana Pellea. The Cucuteni Eneolithic Art Museum Piatra Neamt - Cucuteni Culture is the latest large painted ceramic culture in Europe, its main characteristic being the trichrome painted pottery (white, red and black). 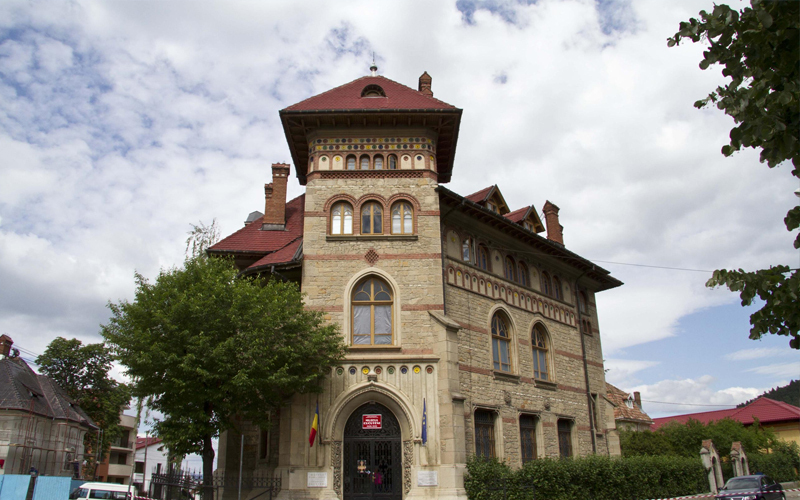 The Etnography Museum Piatra Neamt hosts an impressive collection of ethnographic and folk art objects from Neamt county, eloquently illustrating the ocupations, the habbits, the clothing and the traditional wood architecture. The Royal Court, an architectural complex including The “John the Baptist” Church, The Bell Tower and The Royal Court, all founded by Stephen the Great. Placed on a small square, The Royal Court is the core around which the city nowadays developed. The ruins of the Geto Dacian fortress at Batca Doamnei (Petrodava), a historical monument situated 4 km S-W from the city, illustrates the elements of the neolitic material culture, over which lays a level of the Bronze Age houses and then the geto dacian layer. 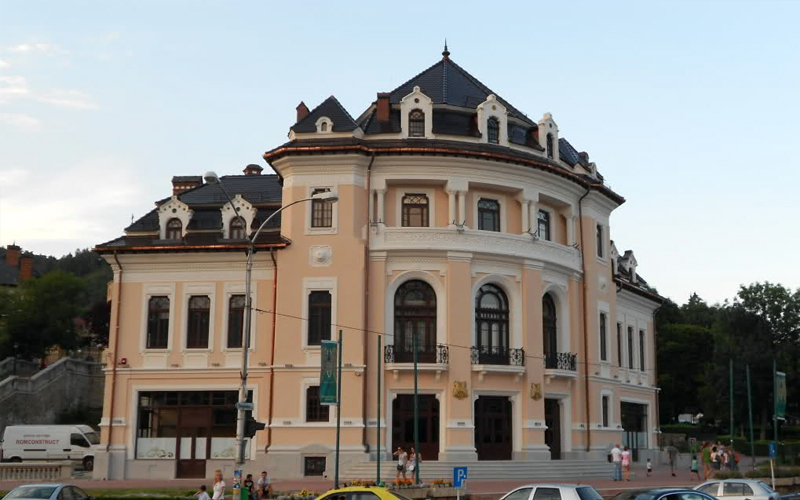 3History - Piatra Neamt is honored by its great location at the crossroad that has access to the major national and international touristic attractions. 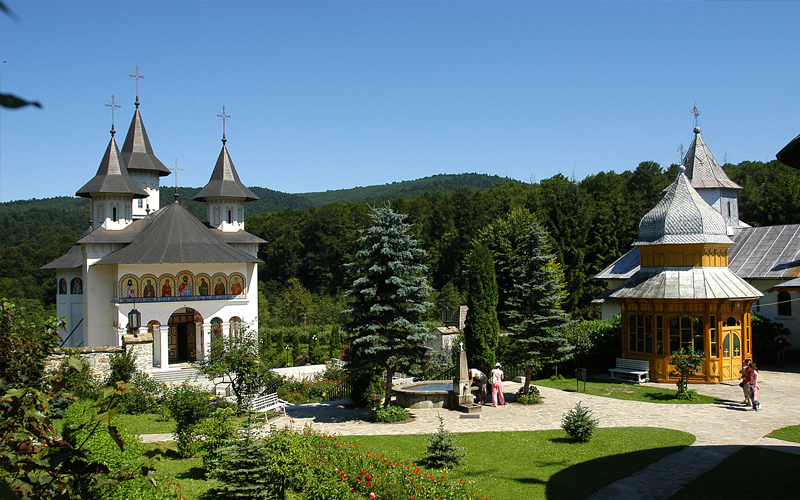 M. Văratec – 40 de km from Piatra Neamt, is the biggest monastery for nuns in Romania and one of the most famous in Neamt County. It is situated in a picturesque environment and was shelter for great theologians and men of culture. M. Agapia – 43 de km North from Piatra Neamț, built between 1642-1647 by hatmanul Gavril (Vasile Lupu` s brother) and painted in 1858 by the great artist Nicolae Grigorescu, when he was 20 years old. 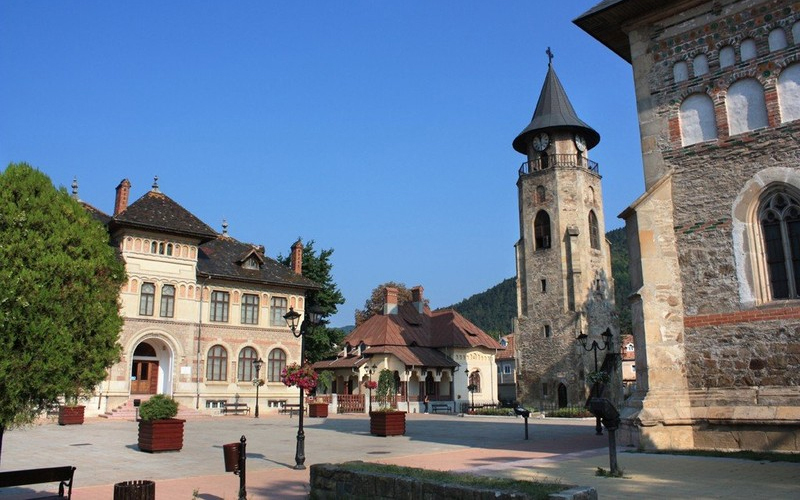 M. Neamţ – 57 km from Piatra Neamt, one of the most valuable architectural ensemble in Romania, the most important hearth of culture and art in the medieval Moldova. The church is the most imposing building from the reign of Stephen The Great (1497). Here it is still functional one the oldest libraries in Romania, but also a museum that illustrates the intense cultural activity along the centuries. 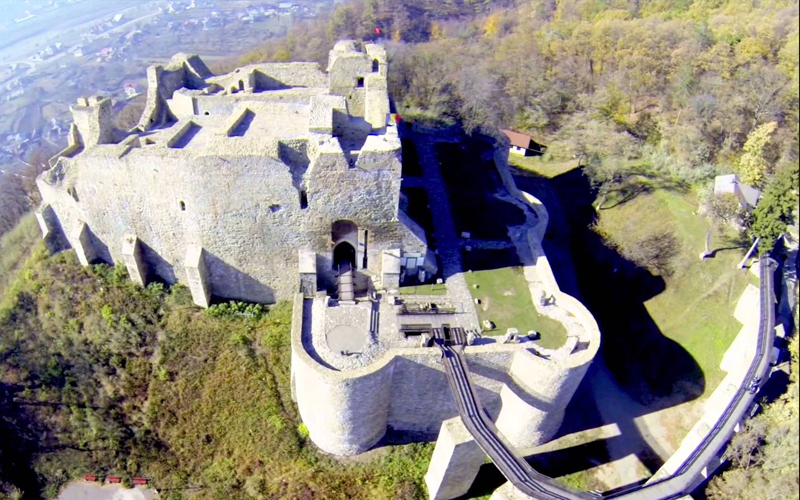 M. Secu – 75 km away from Piatra Neamt, founded by the great headman Nestor Ureche, in 1602. Embellished inside with a special art, the decoration of the façade remembers the architecture from the Muntenia region. The museum houses many manuscripts, embroidery, tapestry and carpets. M. Sihăstria – 63 km from Piatra Neamt. 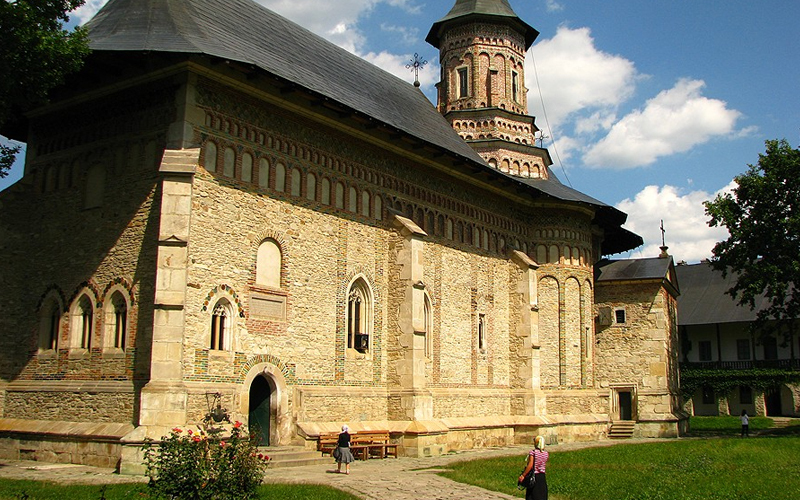 Mark of the classical moldavian architecture, the monastery houses valuable pieces of worship, mostly icons from the 18th century. M. Bisericani – 12 km West from Piatra Neamt, located in a wonderful place, on the top of the Mount Pietrosu - 650 m altitude. The peaks of the mountain are named by the monks who founded here a small convent in the 15th century. M. Bistriţa – 8 km West from Piatra Neamt, founded in 1402 by the ruler Alexandru cel Bun, whose tomb is located inside the church. 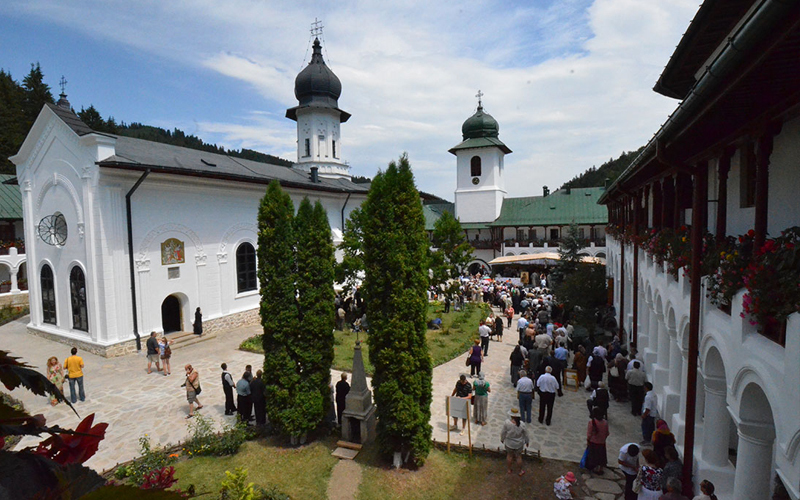 The Monastery had an important cultural role. Here was drafted the first chronicle of Moldova and also here one can find a very valuable museum of feudal art. M Pângărați – 13 km from Piatra Neamt, historic and religious monument, founded by Simeon the Hermit, in 1496. 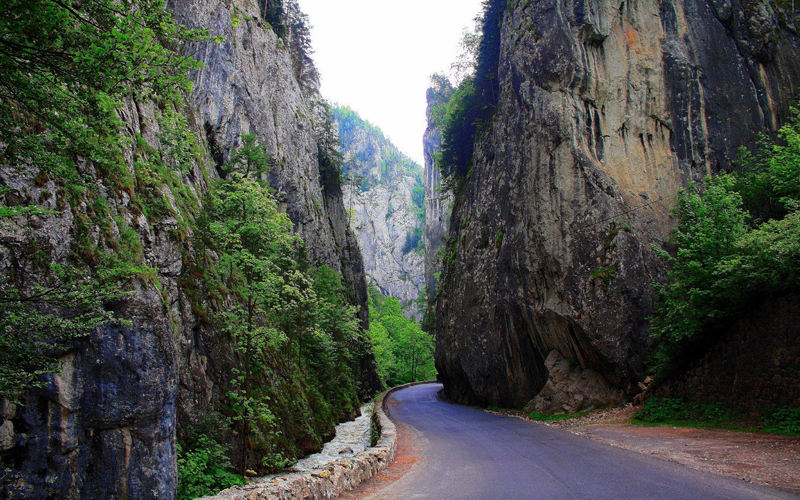 M. Durău – 88 km West from Piatra Neamt, situated on the hems of Ceahlau Mountains. It was painted by the famous Nicolae Tonitza. 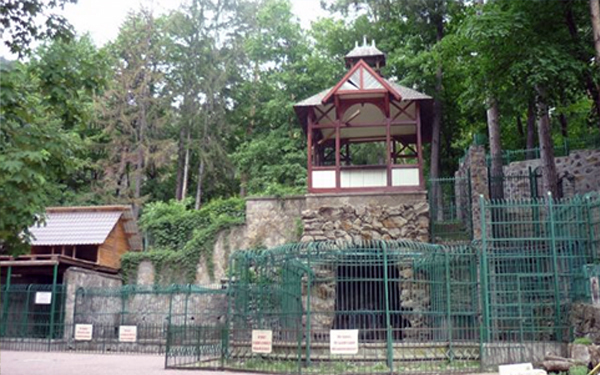 M. Războieni – 25 km E, the last foundation of the voivode Ștefan cel Mare, built to honor the soldiers who died defending Moldova in the battle from Valea Alba in 1896. 4Landscape - The generosity of the nature combines in a pretty small perimeter, different spectacular forms of relief : low hills and boldly peaks where the clouds rest calmly, fresh water springs and rapid rivers in the mountains. All these are the secret of a perfect day for the nature lovers. 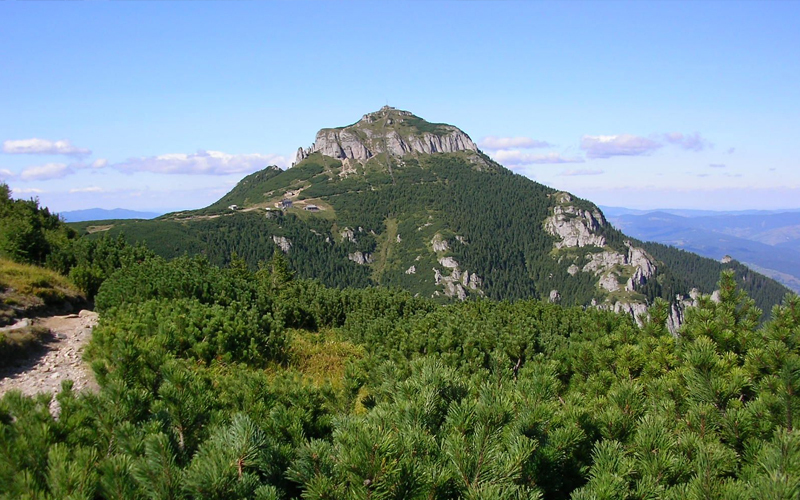 Ceahlău Mountain - la 40 km west from Piatra Neamţ, the most important massif in the Eastern Capathians. Evem it`s heights are moderate (Vf.Ocolasul Mare de 1907 m), during sunny days it can be seen from far distances. It appears like a huge castle ruined by the winds, rains and waters, an irresistible invitation for hiking. It will enchant you with piramids, towers, gorges and waterfalls. 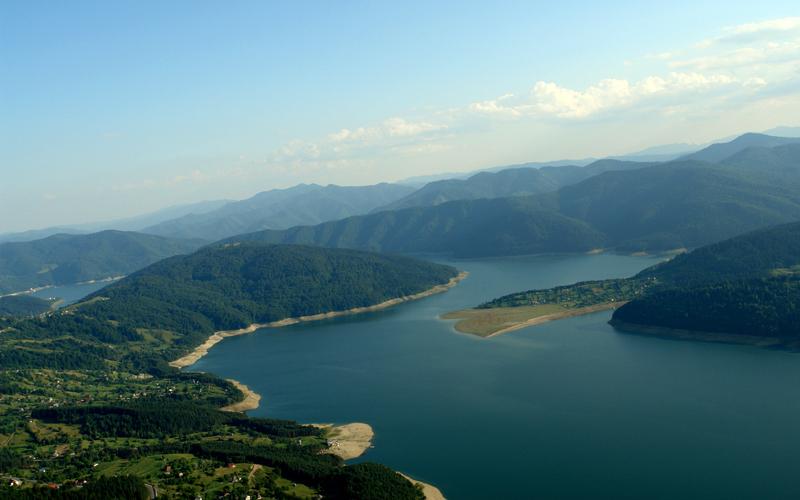 Izvorul Muntelui Bicaz Lake - 35 km from Piatra Neamţ, a storage reservoir formed on Bistriţa river, behind an over 120m tall dam, a real artificial mountain. With a length of 35 km, "the sea underneath Ceahlău Mountain", is an attractive recreational area where you can enjoy a beautiful boat ride. Dragoş-Vodă Aurochs Reservation - one of the largest and most illustrative reservation in Europe, lying on a surface of 28.500 ac with over 28 samples of aurochs. Besides, there can be seen: different species of deer, bucks, foxes, bears, wolves and also a big variety of birds. A few fishing ponds can also be found inside the reserve, with beautiful samples of craps, carps, zanders, pickerel or bass fish. The Copper Woods – situated 30 km outside the city, 1 km N from the Varatec Monastery, is an evergreen oak forest reserve. Together with the nearby Silver Woods (birch tree forest) the Copper Woods were the flash of inspiration for the great poet Mihai Eminescu: “If through the copper woods you pass, the silver woods shine far away,There you will hear a thousand throats proclaim the forest's roundelay”. Durău Resort - 60 km N-W from Piatra Neamţ, climatic holiday resort at the foot of Ceahlau Mountain. Bicaz Keys – are part of the Bicaz – Hasmas Keys National Park, being located 60 km outside the city. Canoeing - you can pass through steep active valleys, such as waterfalls, and wide deep canyons. The route can last up to 1 hour, depending on the flow of the river. Off road rides you can drive on interesting mountain tracks. Paintball in a natural setting and different locations chosen according to the participants’ training. Rafting - descending fast mountain rivers with pneumatic boats in teams of two or more persons is a team activity and that’s why many companies choose rafting as part of the teambuilding programme. Whether it’s a pleasant way to develop team spirit or an adventure on fast mountain rivers, you can do rafting on tracks of almost 10 km, on sections of the Bistrita River chosen according to the river’s flow and the participants. The Tyrolean - the portion of adrenalin is for those people who don’t fear heights. You can traverse steep areas, rivers, crevasses on a system of static ropes or cables. Sailing you can go sailing on the lake Izvorul Muntelui.